Going to court is not something you usually see people volunteering to do. For the North Springs Mock Trial Team, that is not true. Sitting in a room under oath, there are glaring witnesses, judgmental judges, and tough moments. Members of the Mock Trial club at North Springs go to court every year with a mock case provided by the Georgia Bar Association. The Georgia Bar Association annually gives the team a case to work on and prepare for trial in order to compete against other high schools all over Georgia. A team is setup within this mock trial team, consisting of attorneys and witnesses, and with this setup, practice is conducted outside of school from the beginning of the school year until the time of the year competition begins. Practices consist of learning through attorney coaches, who are real attorneys that are usually parents of students in the club. Attorney coaches are important to the team for their guidance and expertise. The coaches of this year’s team included Eric Hertz, Marc Bardack, and Lane Frostbaum, all parents of various team members. Mock Trial has rewards for students who wish to go into law, acting, or drama. ”Since joining Mock Trial I have learned to speak more, argue better, and think critically, ” said Senior President Caroline Steed. Steed joined Mock Trial when she was a freshman and the team came in second place during Regional competition. As a Sophomore, she went to State competition, and as a Junior, the team came in third at District competition. 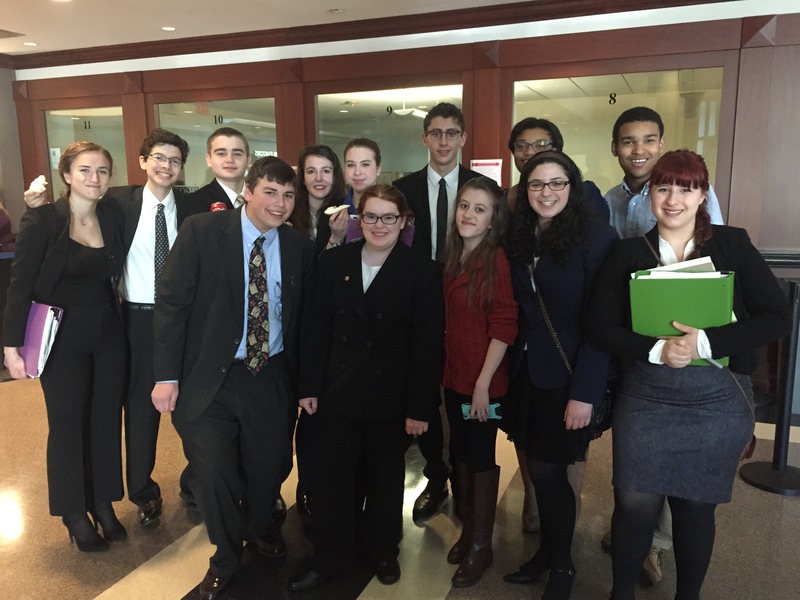 On February 5th and 8th, North Springs’ Mock Trial went to Regional Competition. These Spartans, part of Region 16 (Atlanta), competed against schools such as Henry W. Grady High School, The Weber School, and Sprayberry High School. Along with Steed winning an award, Junior Sarah Daniels won an Outstanding Witness award for rounds one and two of competition. Having hopes of making it further than this year, the Mock Trial team continues to practice and prepare for next year’s competition.